At Blues Dance New York, we are excited to share the love of blues and blues dancing with everyone who wants to join. One of our favorite things to do is attend the phenomenal blues dance events that happen all over the world: these events have transformed the lives of many of our community members, especially many of our staff members who share their love of this dance every week at Friday Night Blues. However, we understand that life circumstances may make it difficult for people to travel to blues dance events in other cities. Therefore, we are thrilled to have instituted a scholarship program to help further the development and love of this dance for people who would not otherwise be able to attend events. The 2018 scholarship season is now closed. Check back next year for new opportunities. If you’d like to help support our program, you can donate here. For 2018, Blues Dance New York will have two scholarship rounds! We will sponsor one dancer to attend Sweet Molasses Blues in Boston and another to attend Blues Muse in Philadelphia. These events were selected because they provide excellent classes and dances within a few hoursâ€™ bus ride… and they are GREAT fun. The purpose of this scholarship program is to provide funding for NYC-area dancers to attend regional blues dance events. Our goal for the scholarship program is to encourage continued learning and development for dancers who might not otherwise have the means to attend. Newcomers to blues (< 2 years) are particularly encouraged to apply! Never been to an exchange before? Take a peek at this Q&A that we put together, and feel free to reach out with any questions! 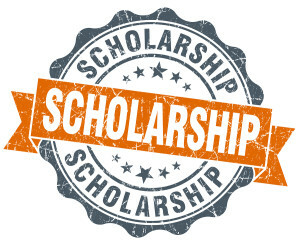 Each scholarship includes one full weekend pass and a stipend equivalent to round trip bus fare. The recipient may use the stipend for meals or other travel expenses if they find a ride share. Additionally, the recipient will have a spot on the list of the host event’s housing program. The final responsibility for travel costs beyond the stipend lies with the recipient; additional funds will not be available for cost overruns. Recipients are expected to attend classes. After event attendance we will ask the recipients to write a short essay about their experience and provide a photo. We would love to share your experience with the rest of the community, and it will help publicize the next scholarship we offer! August 10-12: Sweet Molasses Blues! If a change in circumstances prevents the scholarship recipient attending their dance event, they are to notify BDNY as soon as possible so that other arrangements can be made, including transfer of scholarship to another recipient. We will be publicly sharing the name of the scholarship recipient. After the recipient attends their event, we will ask for a short written statement and a picture of the recipient so we can share your experience with the rest of our community. Currently, Blues Dance New York can only fund two scholarships for 2018. If you are interested in contributing to this scholarship fund so we can help more people attend more dance events, please contact info@bluesdancenewyork.com. Now that you’ve read through all of the pertinent information, fill out the application form below!